Swiss Digital Health is the Swiss platform dedicated to the digital health. This Swiss initiative aims to initiate and empower ambitious projects improving the global healthcare system. Starting at detecting unmet existing but also emerging needs and ending in successful market launch of new and efficient solutions, Swiss Digital Health intends to breathe innovation at each stage of the health value chain. Its goal is to seize innovation opportunities and generating new added value. 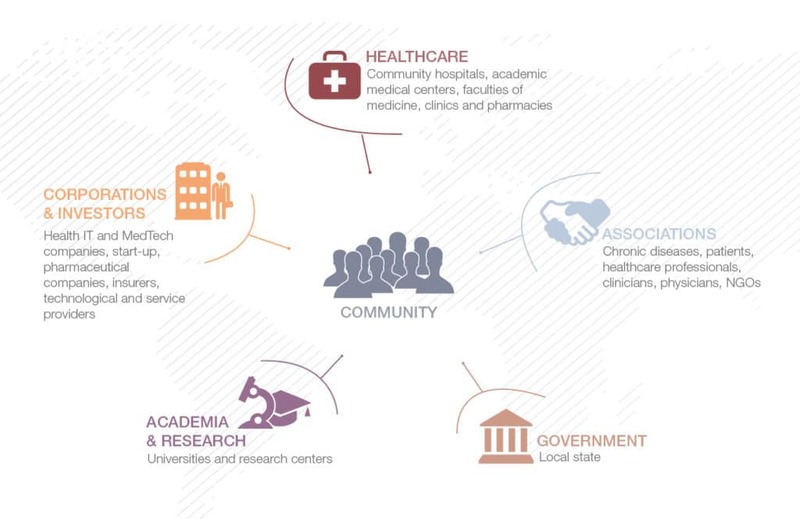 By implementing specific tools and tailored services, Swiss Digital Health creates a dynamic ecosystem, enables mutual exchange between all stakeholders and brings to the foreground innovative solutions meeting tomorrow’s health challenges. Swiss Digital Health facilitates the development of strategic partnerships and provides access to specific job and business skills. It fosters international collaborations and helps to expand the digital health business and innovation network.